In Maurice Sendak's 1963 children’s book, Max, a little boy in a wolf costume, is sent to bed without supper. So he sails on a boat to a faraway land where he tames the Wild Things, becomes their king, and leads them on a wild rumpus. Here's more on this spare, strange, classic book. 1. THE BOOK WAS ORIGINALLY WHERE THE WILD HORSES ARE. Sendak was working as a children's book illustrator when editor Ursula Nordstrom (who also did Charlotte's Web and Goodnight Moon) offered to let him write his own book. He came up with the title Where The Wild Horses Are, which Nordstrom thought was "so poetic and evocative," according to Sendak. Then Sendak, who was a self-taught artist, discovered that he couldn't draw horses. When he told Nordstrom his problem, she said in an icy tone, "Maurice, what can you draw?" 2. THE "THINGS" WERE BASED ON SENDAK'S JEWISH RELATIVES. When developing the monsters for the book, Sendak drew on his childhood memories of his immigrant relatives. His uncles and aunts would come on Sundays and "all say the same dumb things," he recalled. "How big you are, how fat you got, and you look so good we could eat you up. So the only entertainment was watching their bloodshot eyes and how bad their teeth were. You know, children are monstrously cruel about physical defects—the hair curling out of the nose, the weird mole on the side of the head. And so, you would glue in on that and then you talk about it with your brother and sister later. And they became the Wild Things." 3. "WILD THING" ALSO REFERENCES A YIDDISH TERM. As a child, when Sendak was driving his mother nuts, she would call him "vilde chaya," or wild animal in Yiddish. In the book, the mother calls Max "Wild thing!" and he says, "I'll eat you up!" 4. 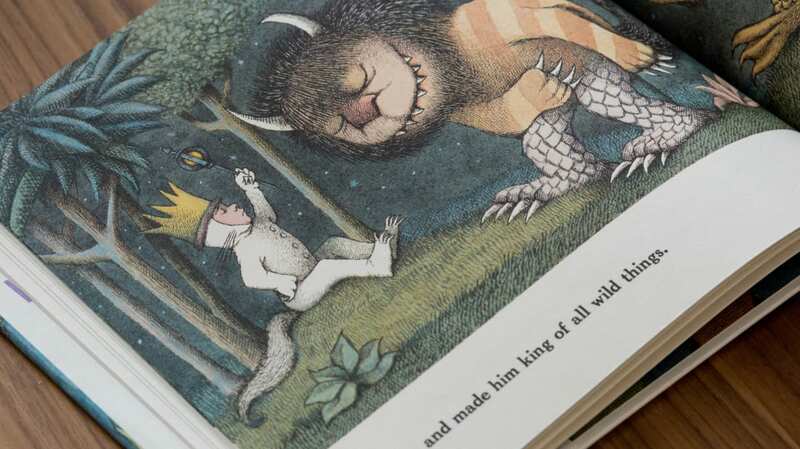 WHERE THE WILD THINGS ARE WAS ABOUT SENDAK'S CHILDHOOD. "That’s what art is. I mean, you don't make up stories, you live your life," he said, adding, "I was not Max. I did not have the courage that Max had, and I did not have the mother that Max had." 5. BUT SENDAK DID GO TO BED WITHOUT HIS SUPPER—ALTHOUGH VOLUNTARILY. 6. A PROMINENT PSYCHIATRIST DENOUNCED THE BOOK WITHOUT READING IT. Where The Wild Things Are was an immediate popular and critical success, winning the 1964 Caldecott Medal for Most Distinguished Picture Book. It was also frequently banned for having scary or dark undertones and for a lack of moralizing. In 1969, psychiatrist Bruno Bettelheim mentioned the book in his column for Ladies' Home Journal, saying that it would cause fear of desertion in children. He asserted that Sendak didn't understand "the incredible fear it evokes in the child to be sent to bed without supper, and this by the first and foremost giver of food and security—his mother." Although Bettelheim later admitted he hadn't read the 37-page book, the criticism stuck with Sendak. From then on, he called him "Brutal-heim." 7. THERE'S A WILD THINGS OPERA. Composer Oliver Knussen wrote a one-act opera based on Where The Wild Things Are, which premiered in Brussels in 1980. Since the Things are unnamed in the book, for the opera, Sendak gave them the names of his relatives: Tzippy, Moishe, Aaron, Emile, and Bernard. 8. DISNEY ANIMATED A SHORT CARTOON FEATURING MAX. In 1983, Disney owned the film rights to Where The Wild Things Are. While an animated feature never materialized, they did make an animated short about the book to demonstrate 3D animation. There’s also a 1973 cartoon of the book, directed by Gene Deitch. 9. THE LIVE-ACTION FILM WAS MORE FOR ADULTS THAN KIDS. The 2009 movie, like the book, was criticized for its darker tone. Director Spike Jonze said his goal "wasn't to make a children's movie. I wanted to make a movie about childhood." The struggle over tone led Jonze to move the film from Universal to Warner Bros., where there were more arguments over how to translate the book into live action. When the film came out, it was marketed to adults rather than to children. 10. DESPITE BEING SENDAK'S BIGGEST BOOK, HE HATED THE IDEA OF WRITING A SEQUEL. Sendak didn't know why Where The Wild Things Are was such a hit, but one thing was for sure: he sure as hell wasn't going to write a follow-up.